One of my fondest memories from growing up is my grandma Julie’s banana smoothie. My grandma is basically obsessed with calcium and believes drinking calcium is the most important thing you can do for your body. I don’t disagree that calcium is good for you, but as a diva child who wanted to do her own thing, drinking milk was something I did not want anyone to make me do! Although I thought I was clever and could convince my grandma to leave me alone about milk, I see now that she was the real clever one and found a way to trick me into loving a glass in the morning. My grandma would make me a banana smoothie with cinnamon and milk and call it “liquado de plantano” (banana smoothie). She completely removed milk from the title and made me feel I was having a special treat. Now as a grown up I smile at the thought of her feeling so accomplished when I would always say yes to her banana smoothies and even ask for seconds! 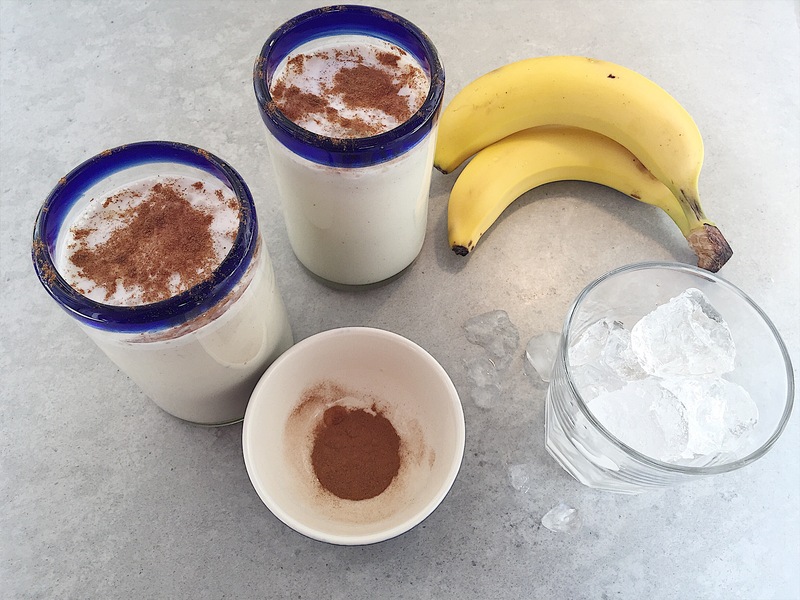 Hope you enjoy having a go at Grandma Julie’s banana smoothie. Step 3: Pour into cups and sprinkle some cinnamon on top. Enjoy!